When physical therapy or other conservative treatment fails to heal ankle injuries, Dr. Howard Marans provides stellar surgery skills to correct the problem. Treatment of severe injuries to your ankle can involve a wide range of surgery techniques. A common misconception many people suffering from ankle pain have is that – if they consult with a specialist – surgery will be recommended. This is not true because in most cases, a recommendation for ankle surgery is the last resort. There are many conservative treatments available at OCOrthopedic+ such as modifying footwear, ortho/inserts, bracing, boot, cast, physical therapy, injections, and medications. Treatment of severe injuries to your ankle can involve a wide range of surgery techniques. Symptoms of ankle injuries/medical conditions include: pain, swelling, or mobility difficulty. Your ankles bear the weight of your entire body. Osteoarthritis is the degeneration of one or more of the joints in the ankle. When this condition occurs, cartilage and bone break down, resulting in inflammation. 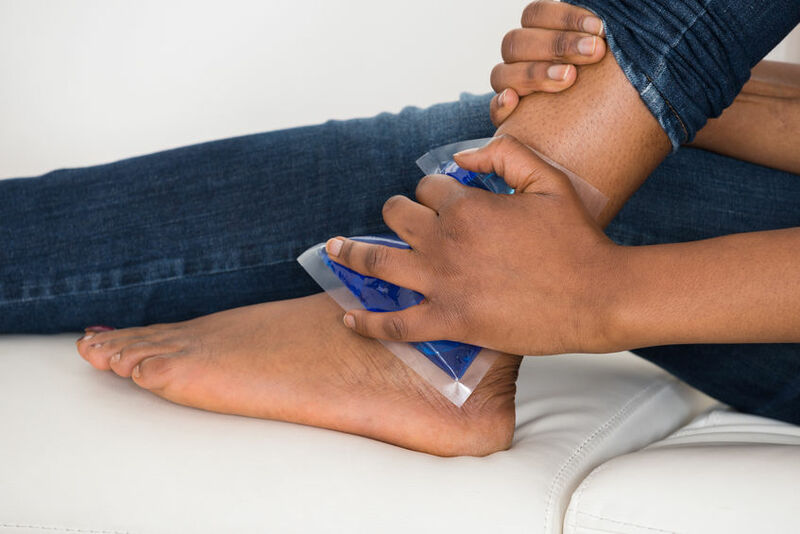 Sprained ankles occur when the ligaments that support the ankle become stretched or torn. This can occur as a result of twisting the ankle in a fall – or even stepping the wrong way. Fractured ankles vary in severity. The ankle is made up of the tibia, fibula, and talus – which can all be fractured. As a stellar ankle specialist in Santa Ana, CA, Dr. Marans has the education and clinical experience to correct your injury. An experienced ankle surgeon begins with a precise diagnosis. OCOrthopedic+ is a leader in foot and ankle surgery. Dr. Howard Marans has over 20 years of providing his patients with whole body care and rehabilitation post-surgery.